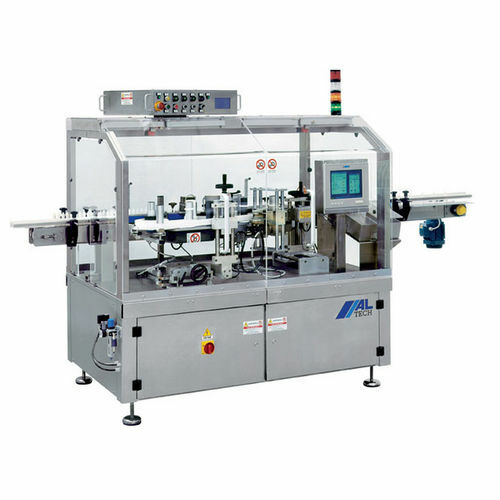 The ALpharma self-labelling systems have been specially devised by ALTECH for the packages of pharmaceutical products. ALTECH has developed the ALpharma line, whose particularly advanced features fully comply with the strict rules and regulations of the pharmaceutical industry. ALpharma C is for the in-line wrap-around labelling of small cylindrical bottles. It can offer up to 250 products per min.